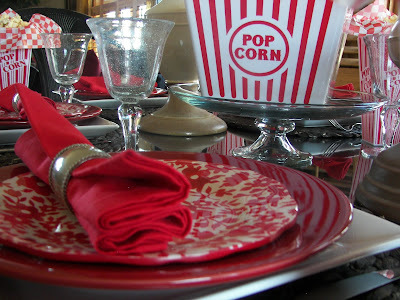 Welcome to Red Couch Recipe's Popcorn and a Movie Tablescape! Like many of you, I am a major popcorn lover. I like both the sweet and savory varieties. At Christmastime, I stay clear of those tins -- just too tempting. Today NACHO POPCORN is the star of my table! My sister-in-law Dawnell gave me those cute popcorn containers years ago. I have seen them since at Target and the Dollar Store. I used a large popcorn bucket, elevated on a glass cake pedestal to be my main centerpiece. 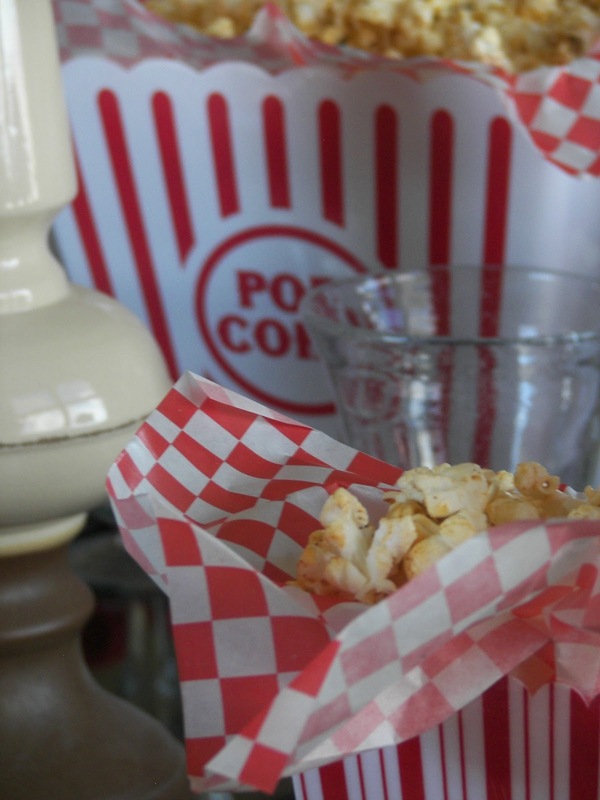 I have also placed two large "chess" pieces, on each side of the popcorn bucket, as part of my centerpiece. Just another view of popcorn mania. My bubble glass view -- I always like to include a view when I use my bubble glasses, which is often. We recently watched the movie The Note for the first time; I highly recommend it. 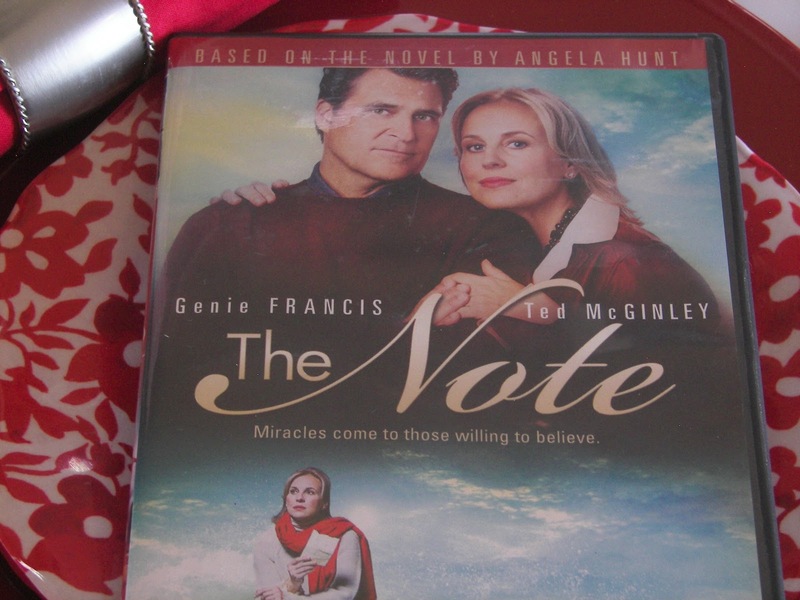 It is a Hallmark movie produced in 2007, based on the book The Note, by Angela E. Hunt. There is also a sequel "Take a Chance on Love," which I have not seen. The Note is a sweet and moving story about forgiveness and love. A plane has crashed killing all the passengers on the plane. A newspaper columnist, played by Genie Francis, has found a note written by a father to his son or daughter in the last few moments of his life. Set at Christmas time, Peyton McGruder, sets out to find the rightful owner of the note and give someone a special message from their father. 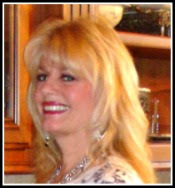 In this journey, we learn about love and forgiveness as the note touches everyone who has contact with it, even the readers of Peyton's column, "The Heart Healer." You can rent it from Netflix, see it on the Hallmark Channel, borrow it from your library, or click on the image below to buy it from Amazon. Grab a handful of Nacho Popcorn on your way out! I will post the recipe later this week. 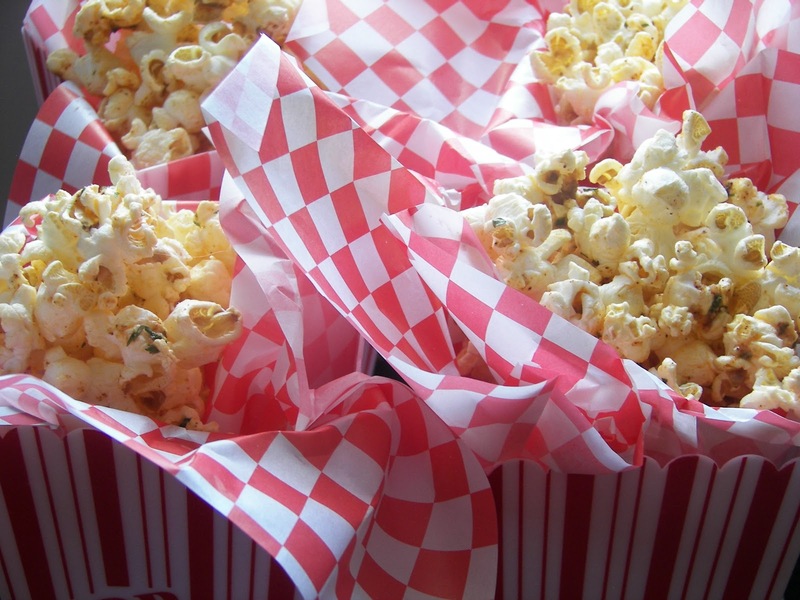 Thanks for stopping by Red Couch Recipes, but please don't eat the popcorn on my Red Couch! We wrecked a former couch by eating popcorn on it! What a cute tablescape! I got my hubby for Christmas one of the vintage popcorn makers. He loves to make popcorn in it for movie night. Can't wait for the recipe. Your movie suggestion sounds good. If you liked that movie, you would also like "Message In A Bottle". I have seen this movie and it is a good one! 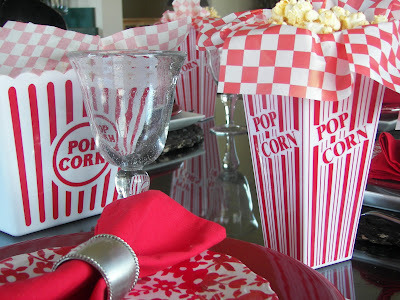 Love popcorn so any table set like this is a winner in my book! I like the Note, too. I like the way it tells the story of the different people Genie Francis' character interviews. 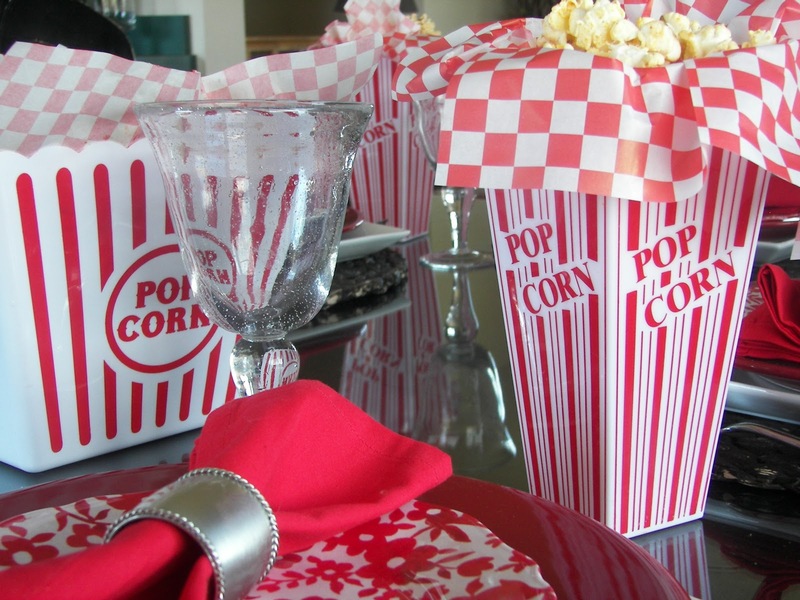 Nacho popcorn sounds yummy and your table looks great. 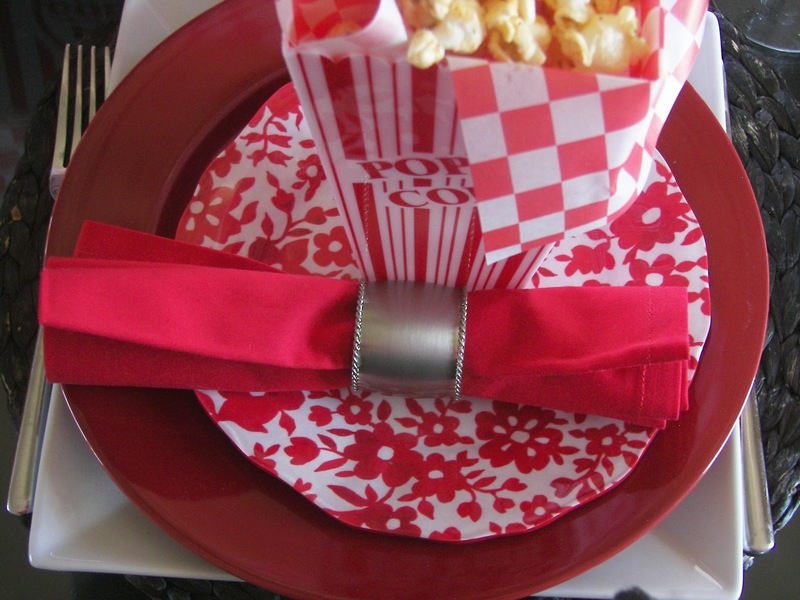 I love your red tablescape! I'm waiting for the nacho popcorn recipe and would love to find a really good recipe for really cheesy, cheddary popcorn! Do you have one? Joni, I stumbled upon that movie about six months ago and was completely drawn in. It's excellent. And so is this fun table! Nacho popcorn? Sounds right up my alley. Thius is a fun, fun tablescape, Joni. Thanks for sharing. What a fun table, Joni! So sweet. I would eat popcorn anytime for dinner! Hahaha...yum. Sign me up for the movie and I'll be right over for a fun night! Great post and tablescape! 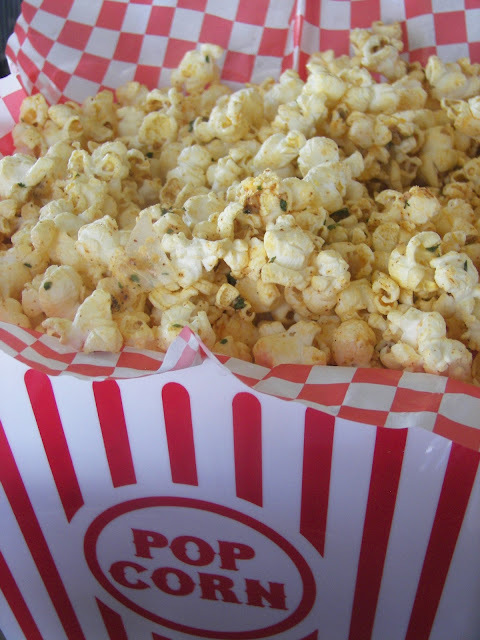 Love your theme (and popcorn)! Haven't seen that movie but my daughter loved the book. Darling table!!! 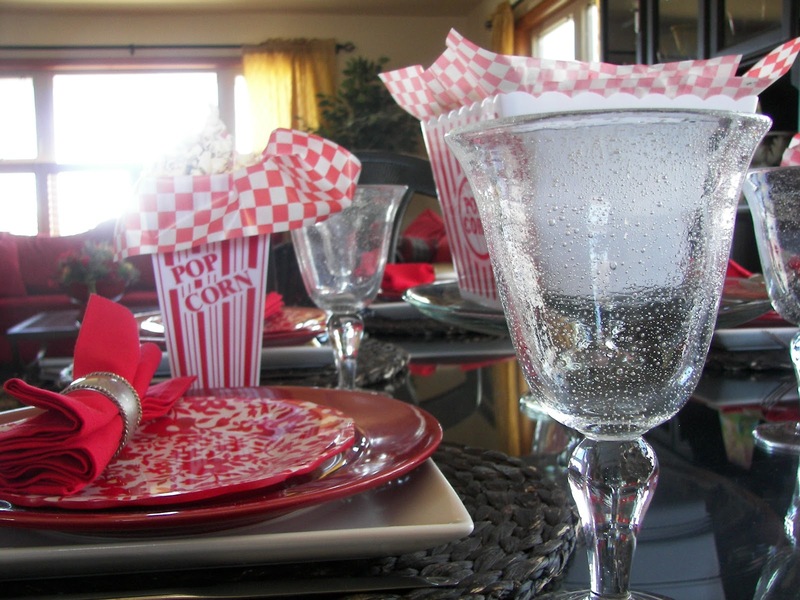 Love the red and white and the popcorn. I so can never stop eating it when I start. I've seen the movie and ditto your recommendation. Makes me think of Americans I had staying in one of my homes here in South Africa. Every Friday it was a ritual for a movie and she had the most beautiful popcorn maker on wheels that they brought out from the States, that made fresh popcorn whilst watching the movie! Your post is simply lovely! That's adorable, Joni! The movie sounds good too! Have a great weekend! My kind of tablescape and my kind of night!! What a fun tablescape! I have some popcorn containers too:) I'm definitely going to make some popcorn while I am watching the BYU game. (There's a commercial right now:)) I'm also going to add The Note to my Netflix lineup. I was getting teary just reading your synopsis, Joni. Thanks for the movie recommendation. Popcorn and a movie is always great. I really like your ideas. What a super fun table! We are a big popcorn family here as well. this just made me smile! 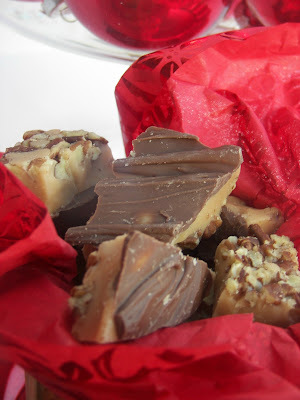 I just read your post below for the OHenry bars. i am making this weekend. What a yummy treat it will be. thanks for posting it! 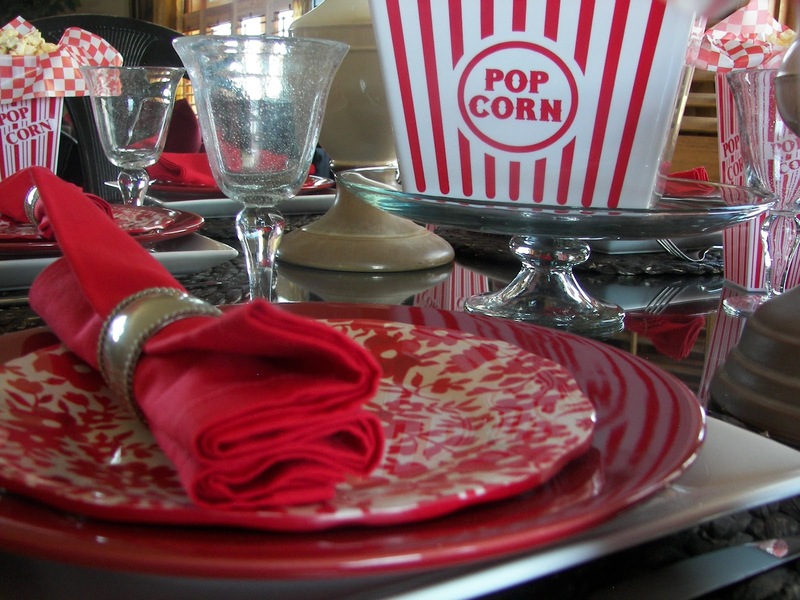 Oh I adore your movie themed tablescape~ swoon!